This topic has 10 voices, contains 15 replies, and was last updated by jroundy 2 days ago. Anyone has this one on dvd? Cool stuff right there!!!!! I do not have this on DVD. Super awesome !!! thanks !!!! wow… !!! 40 years ago… what a band !!! So cool to have boots of this sound quality from from those early tours. Is the audio available for this show? Mac22: Is the audio available for this show? Yes, it is a widely circulated show (in audio form). ron: Yes, it is a widely circulated show (in audio form). Do you think we will finally get this dvd 78/79 upgrade someday?Anyone? Thanks Ron. Top one is 2014. Bottom is 2019. To me, it looks like Danny zoomed in and lightened or brightened the image. 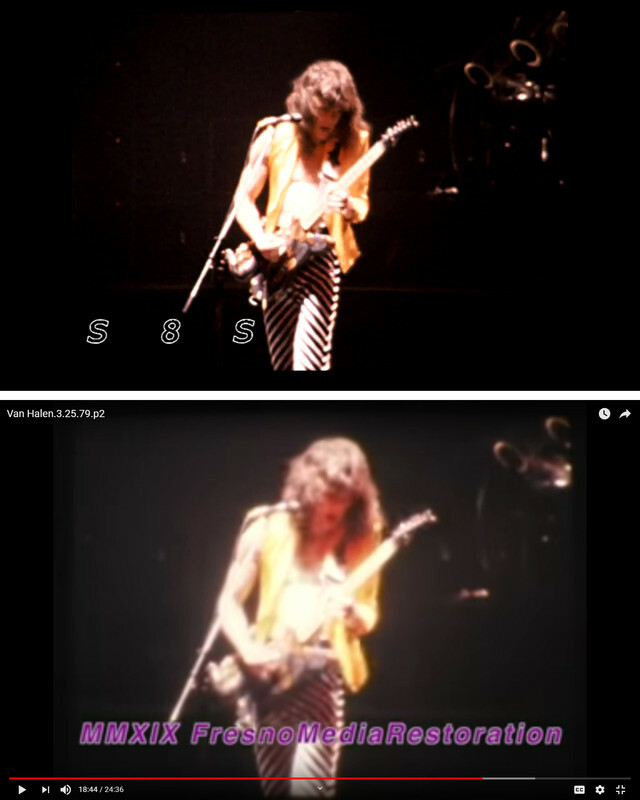 I don’t believe he has released the VH videos in HD yet, but I could be wrong about that. The S8S version is definitely better quality and sharper. Bottom line for me: I’ve wanted a better copy forever, but have come to accept that it will probably never come. wjamflan: The S8S version is definitely better quality and sharper. Bottom line for me: I’ve wanted a better copy forever, but have come to accept that it will probably never come. I agree completely … you can say that again.